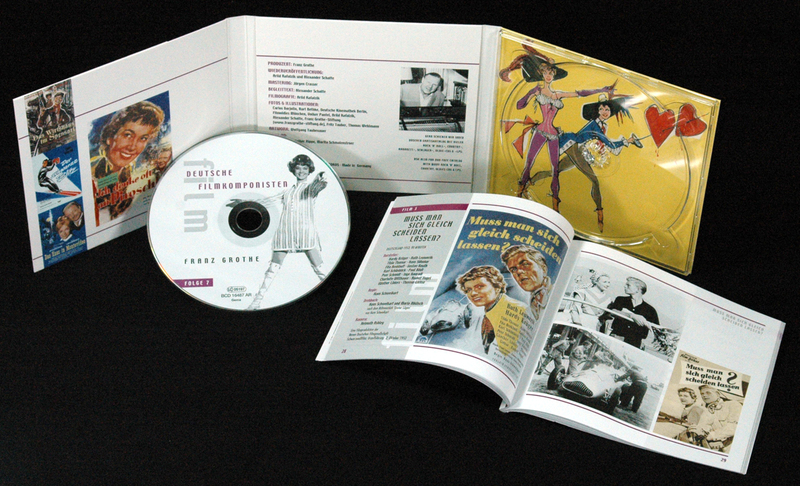 1-CD Digipak with 88-page booklet, 29 tracks. Playing time 79:35 mns. His oeuvre is of impressive dimensions and versatility. 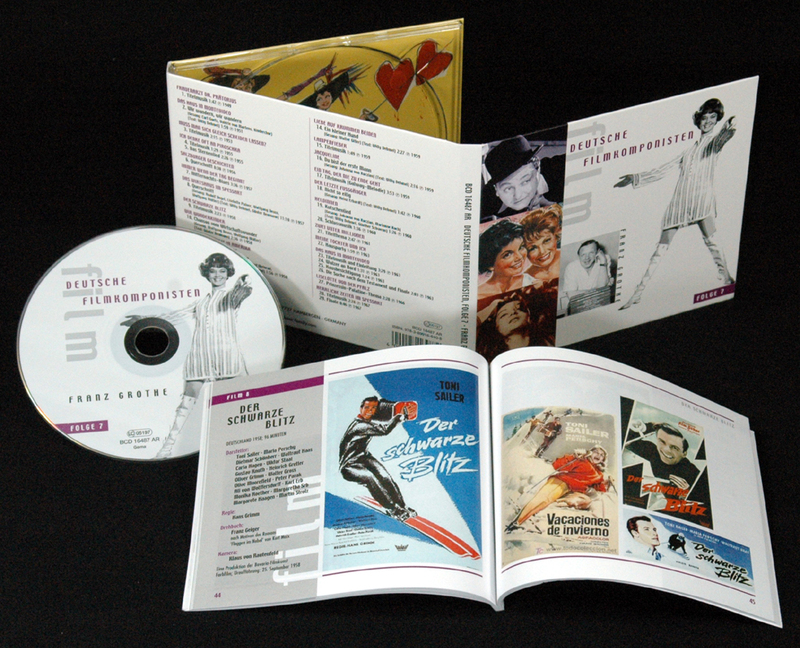 The estate contains sheet music and scores for operettas, musical comedies, musicals, numerous orchestral works and - last but not least - the music for 170 cinema films. No question: Franz Grothe is one of the most productive and versatile representatives of German film and popular music of the past century. Especially the cinema was his great passion, for the film he wrote many of his unforgettable hits as well as countless hours of colorfully instrumented illustration music. The first German sound film of artistic importance,'Die Nacht gehört uns' (1929), with the hit Wenn die Violine spielt contains a musical contribution by the then 21-year-old newcomer. For many connoisseurs, Franz Grothe is one of the film composers of the 1930s and 1940s par excellence, whose inventiveness not only produced numerous melodies that survived the time of their creation as evergreens, but also increased the popularity of many singing film stars. 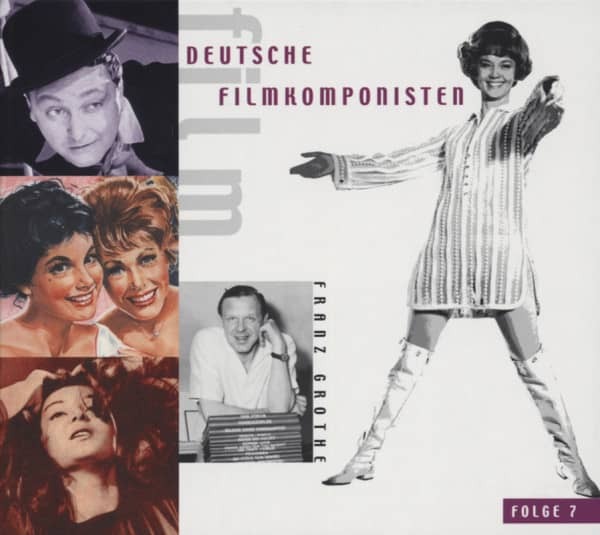 But the bow of his film music work is not limited to his time as a prominent representative of early German sound film, but stretches far over a period of four decades until 1969, the year of his last work for cinema. If many of his melodies and film hits of the shellac era are extensively documented on CD, his post-war works of the fifties and sixties remain clearly underrepresented on previous CD releases. 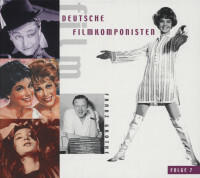 This edition aims to remedy this deficit and offers a selection of his later film compositions in authentic recordings, which are often premiered here on CD. 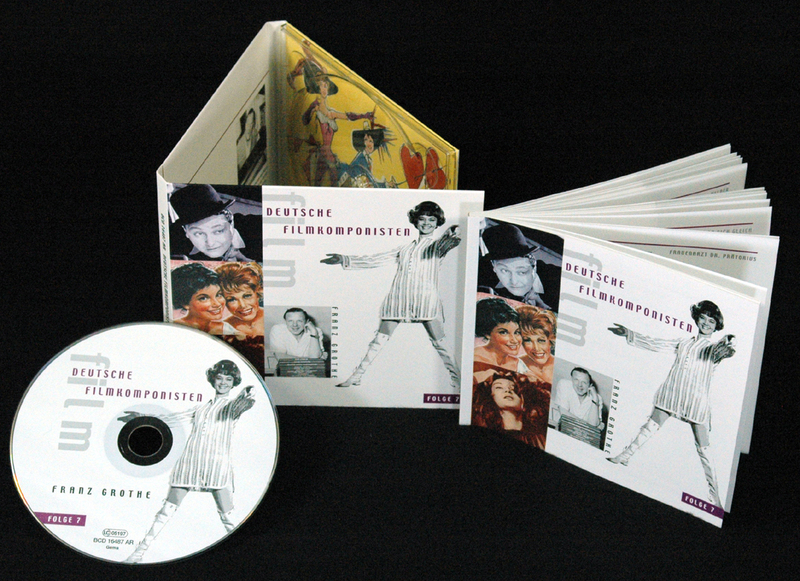 Some of the great successful productions, above all'Das Haus in Montevideo' (1951),'Ich denke oft an Piroschka' (1955),'Das Wirtshaus im Spessart' (1957) or'Wir Wunderkinder' (1958) must not be missing in this collection. But it also reminds us of less well-known works with remarkable scores, such as the cheerful and temperamental prelude to the marriage comedy'Do we have to divorce right away? (1953) or the completely different sounding, because jazz influenced title music from'Lampenfieber' (1959). In general, the stylistic range of the composer is considerable. Franz Grothe provides information: "In the film it is the case that in one case one has to compose a great opera scene in the classical style, in the other case a children's song like a folk song or a Tedeum for choir, organ and orchestra. For one of my last movies I composed four political chansons. The palette ranges from Hungarian ballet music to the national anthem of a fantasy country to the violin sonata or a harmonica solo. I can say that there is hardly a task that a film composer is not faced with. And that's why I was always happy and grateful that I acquired the right technical foundations for my compositional work from my earliest childhood". The success story begins in Berlin. Franz Grothe was born here on 17 September 1908 in the district of Treptow. "According to the composer in a small autobiographical sketch, "one can say that I am hereditarily preloaded with music. My mother was a soprano and my father a good pianist, who combined the artistic with the commercial, because he had a representation for Blüthner grand pianos and pianos in Berlin". Grothe came into contact with music early and intensively. His first teachers were in his parents' house, from whom he received piano and violin lessons. Franz von Vécsey taught him to play the violin so well that even as a 12-year-old he was brilliant with the Mendelssohn Concerto. After high school, he studied classical music at the Berlin Musikhochschule. Initially he doesn't want to know anything about jazz and light muse until a Berlin guest performance by the legendary American band leader Paul Whiteman becomes a formative experience. The sudden death of his father forces him to make an early living. A difficult time for the 16-year-old, who now has to make a living for himself and his mother. In addition to his demanding music studies during the day, he gains his first professional experience as a pianist in the jazz band of saxophonist Eric Borchard every evening. At the same time he writes arrangements for greats such as Emmerich Kálmán, Robert Stolz and Rudolf Nelson and works as an assistant for the revue and operetta composer Hugo Hirsch. Customer evaluation for "Grosse deutsche Filmkomponisten Vol.7"
Das ist ganz starke Filmmusik eines der ganz Großen der Branche!